Today I do not have a recipe for you, but I do have a food related topic and that is Spice Organization. 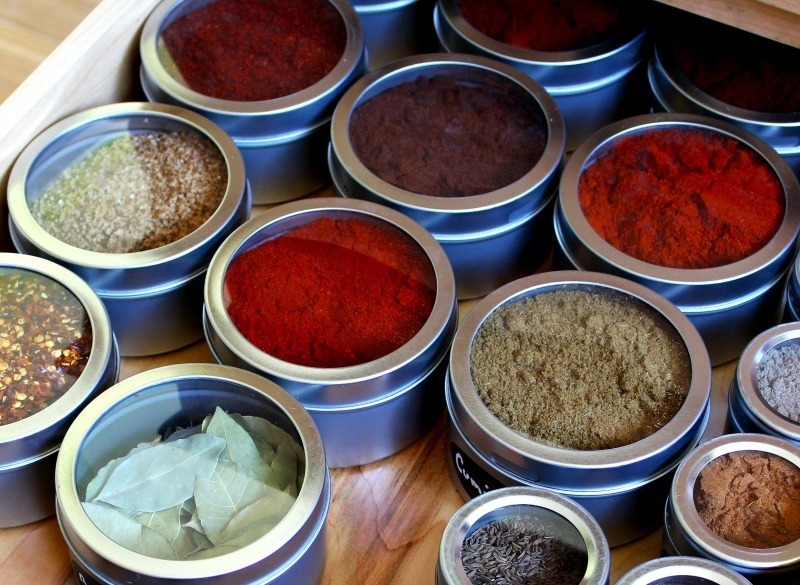 I don’t know about you, but I love buying spices and making my own. The only thing is I am not very well-organized when it comes to my spices. 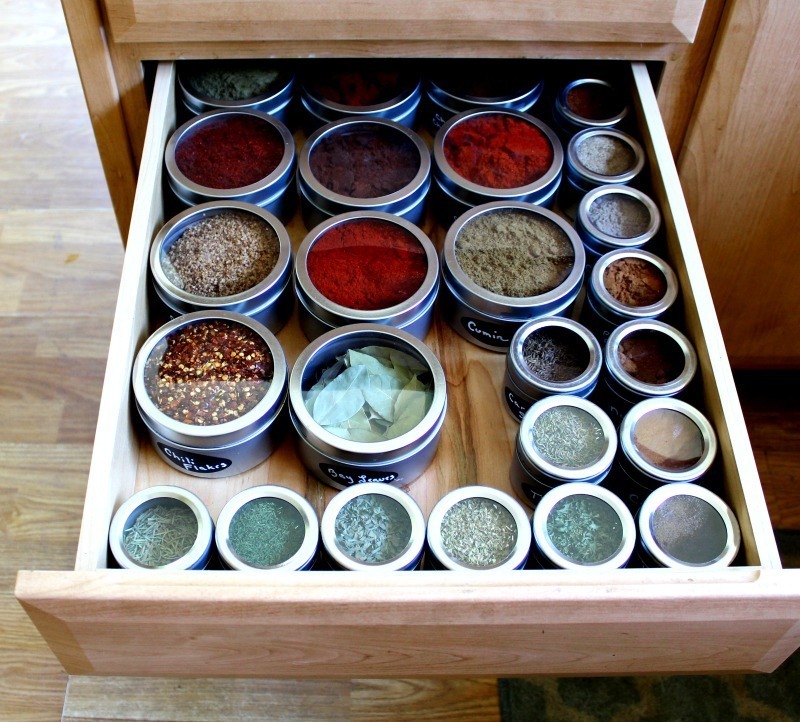 I buy duplicates, I have spices on my counter, drawer and cupboards. They are all over the place and not very organized. This past weekend I gave myself a project and that is to organize my spice drawer. This has been long over due. Not only do I have duplicates, I also have old spices that needed to be tossed. I saw a bottle that said use by 2013. Sheesh! 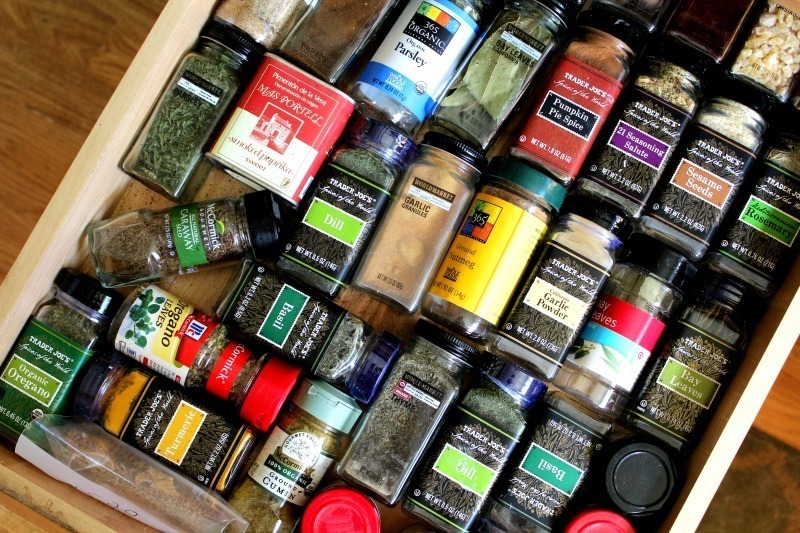 Here is a picture of what my spice drawer looked like. Kind of a mess, don’t you say? The first thing I did was buy my spice containers. I went to Cost Plus World Market and bought a kaboodle of spice containers. I like these containers because they have a little pour spout, shaker, and clear lid so I can see what is inside, plus they have a magnetic bottom. Eventually I will take the spices out of my drawer and use the magnetic strips to hang on my wall. I just need to get my Husband to go to Home Depot and buy some steel to make a board to go on my wall. Then I will add my spices to that and then I clear up my drawer for other good things. I found the spice containers from Cost Plus to be the least expensive. They are normally on sale at 20% off, plus I am a club member and they e-mail me coupons, normally for 15% off. I bought two sizes, 9.5 oz for $2.99 and 3 oz. for $1.99. With the sale price and coupon; the larger containers cost $2.09 and the little ones $1.36. I don’t think that is too bad. By the way, I bought them in store, so I can buy them individually. That way I can choose how many of each size and what color I want. For my spice containers I needed labels. I went to Amazon and found these labels. These labels are awesome! They are chalkboard labels. I wanted chalkboard labels so I can keep re-using my labels. All I have to do is clean the label with Windex, however Trader Joe’s All Purpose Cleaner works too and the writing comes right off. This is also great if you make a mistake or spelling error. The kit also came with a marker to use. I thought this was just perfect for my new spice drawer. Here are the first two herbs that I did. I am loving the look. I wanted the labels on the side, but you could also put them on top. I just like the tops clear and without writing. I think it gives it a clean look. I also bought a bunch of dried herbs from San Francisco Herb Company. This place has the best dried herbs and dried flowers anywhere. Everything smells and looks so fresh. I am pleasantly pleased with SF Herb Co. I have been buying from them for over 10 years. Plus, they are dirt cheap! You get so much, it’s crazy. For example; Chili Flakes is $5.10 for 1 pound and Cinnamon is $3.75 for 1 pound. A pound of Chile Flakes and Cinnamon will last a lifetime. What you can do is find one or two friends to go in halves with you. That is the best thing to do. I bought a pound of parsley about 5 years ago and I barely put a dent in it. Needless to say I had to toss it. So gather some friends and buy some fresh herbs, salts and extracts. It’s so much fun! 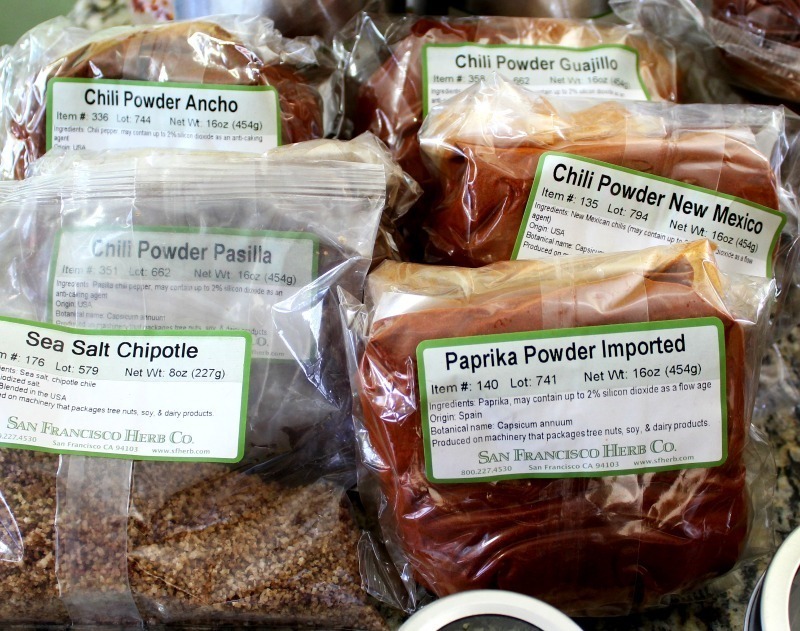 By the way, you will never find garlic powder and onion powder for prices as cheap as at SF Herb Co.
Once I finished making labels, pouring the herbs into my containers I had this pretty collection. I am so pleased. How pretty do these look? I just wish I had better penmanship. I took my vacuum cleaner and vacuumed out my drawer. There were a lot of spices and herbs everywhere. My ground pepper spilled and it was all over the place. Not pretty. Doesn’t that look so much better. It’s clean, pretty and took me about an hour to do this. All of my spices fit and there is still a little room. I did have some spices left over so I will put them in the back of my pantry for overstock. 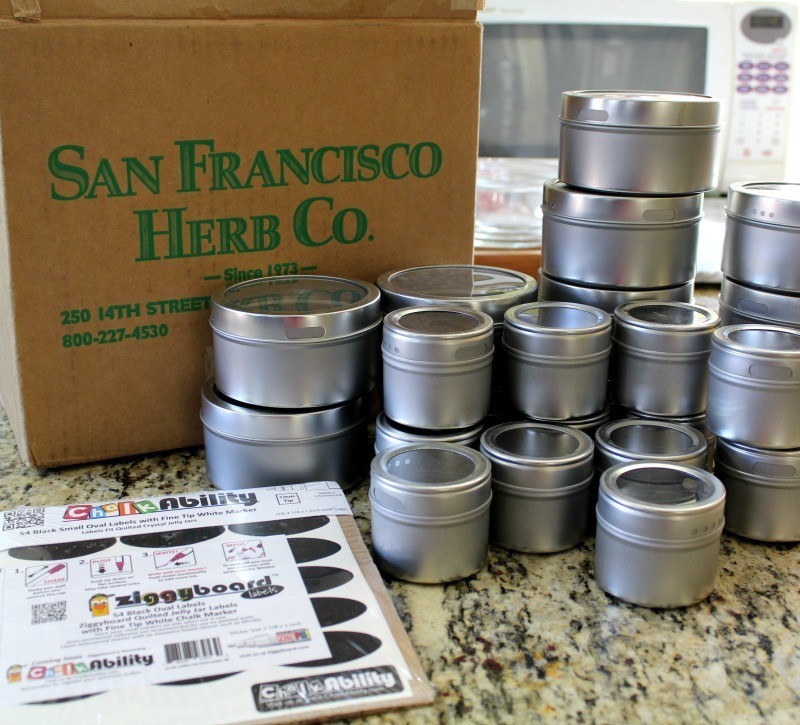 You will have plenty of leftovers, if you buy your herbs from SF Herb Co. Here is a break down of what to do. 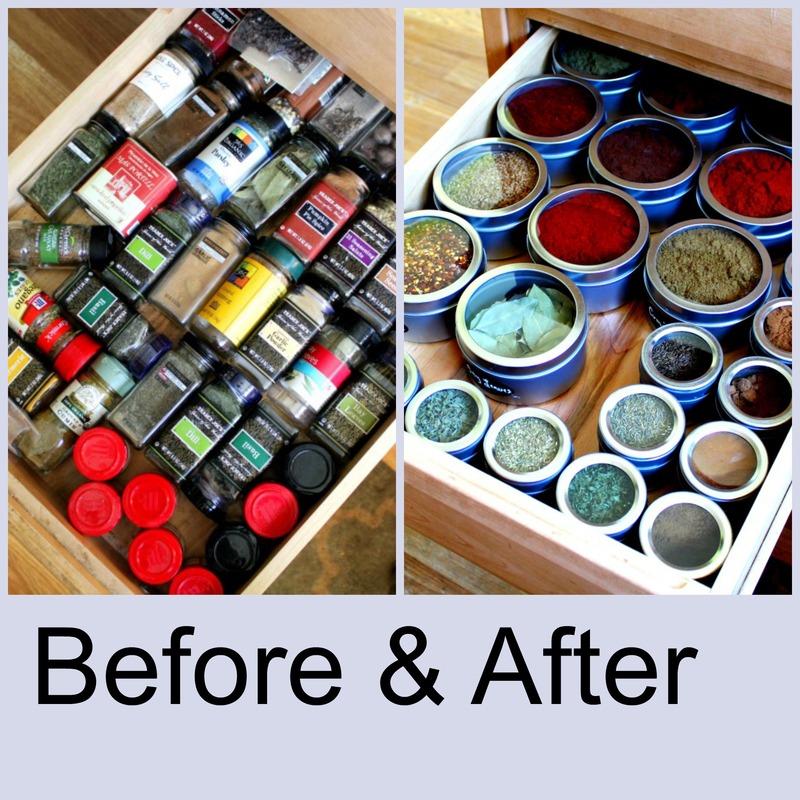 Wash and clean the spice containers with warm soap and water. Dry completely. I did this the night before. 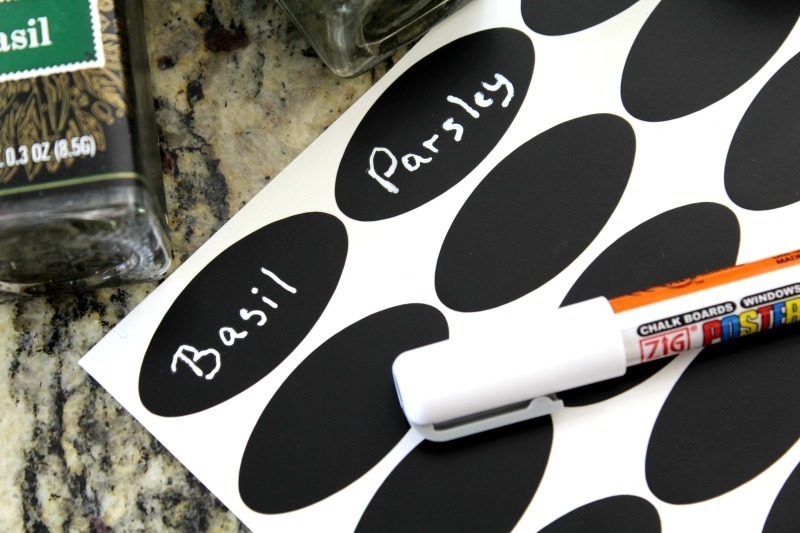 Write herb or spice on label. Let it dry for a few minutes. 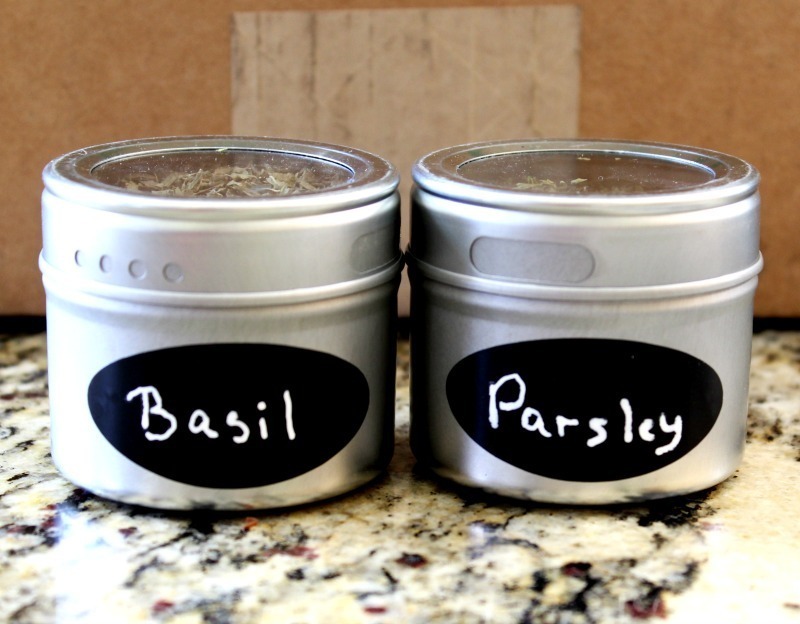 Add your spice or herb into the container. Add label. Put your beautiful new spice containers away. Here are some quick links if you want your spice jars to look like mine. I had a lot of fun with this. With the holidays and comfort food season coming I figured I would start to get organized. 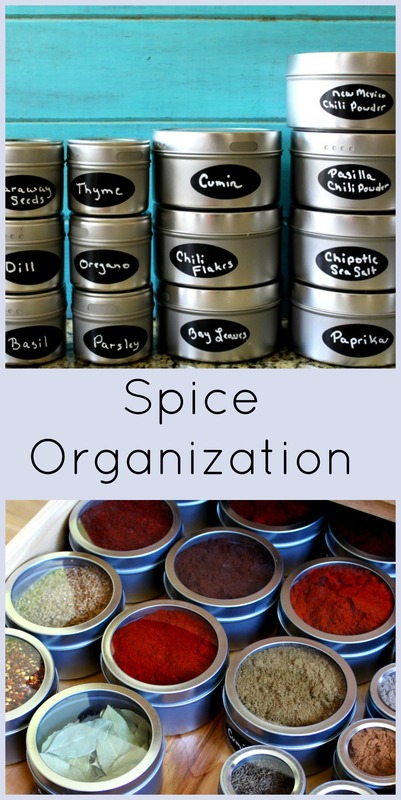 You should so have a Spice Organization Party! 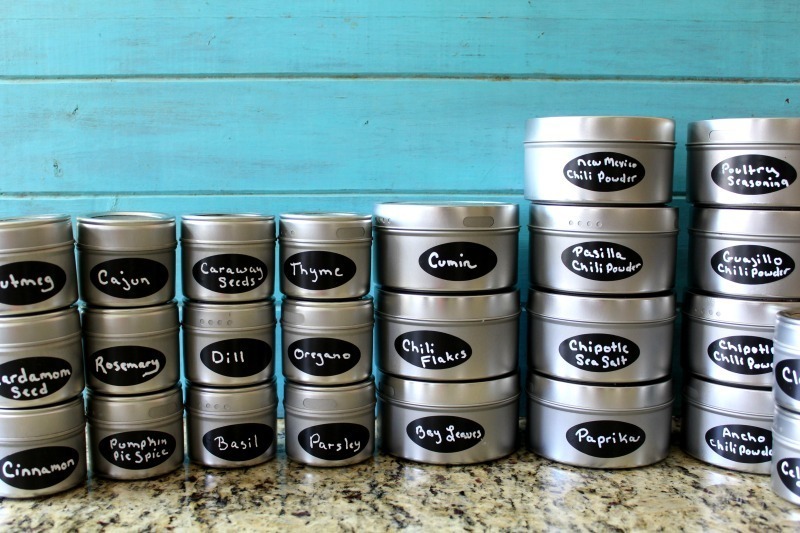 Gather all of your Foodie gal pals and guy friends and make your new spice containers. I think that would be a blast for foodies.